Rottweiler Rescue vs A Shelter " "
Most Rottweiler rescues are small, independent organizations that operate out of the homes of volunteers. Because rescues are run by volunteers they are non-profit organizations and rely on the community to help keep their good cause alive. Many of the dogs they rescue come from local shelters. They take the dogs from shelters because they are in danger of being euthanized, due to the fact that the shelter simply doesn’t have the capacity or funds to care and keep the number of dogs they take in. Dogs that are cared for at the Rottweiler rescue receive health care and individual care and attention from their foster parent and other volunteers. The goal of a rescue is to find every dog they save a new, loving home. An animal shelter is usually much larger than a Rottweiler rescue and may be a funded organization with actual workers, as well as volunteers. However, some animal shelters are also non-profit organizations, so you should find out about the one in your area. Animal shelters usually take in dogs that are strays or have been abandoned or surrendered by their owners. Due to the high number of unwanted dogs, many animal shelters may euthanize dogs they can not care for if they dogs are not adopted or taken off their hands by rescues within a certain amount of time. That being said, you should know that some animal shelters, particularly human societies, have a “no kill” policy. Animal shelters usually care for more than just dogs. They may also have other pets such as cats, rodents and birds. 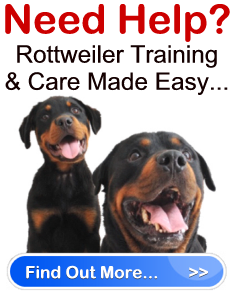 Therefore, unlike a Rottweiler rescue, the dogs they care for will not receive one-on-one attention. In essence, if you are looking to adopt a Rottweiler, it’s a good idea to check out a rescue before you visit the animal shelter. 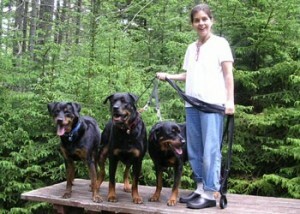 The reason is because a Rottweiler rescue puts more care into each and every dog they save and have for adoption. Therefore, they have a good idea of what a dog’s temperament is like, and will be able to set you up with a Rottie best suited to your personality and lifestyle.